City of Industry, California, May 31<sup>st</sup> , 2011 - GIGABYTE TECHNOLOGY Co., Ltd, a leading manufacturer of motherboards, graphics cards and computing hardware solutions today announced the new GIGABYTE Z68XP-UD3-iSSD motherboard based on the Intel® Z68 Express chipset and pre-bundled with the 20GB Intel® Solid-State Drive 311 Series. 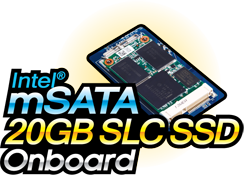 The included mSATA-based single level cell (SLC) solid-state drive (SSD), allows users to take advantage of the performance benefits of Intel® Smart Response Technology straight out of the box. The package is expected to be available to end-users in early June from selected online retailers internationally. GIGABYTE is displaying the GA-Z68XP-UD3-iSSD package at Computex 2011. 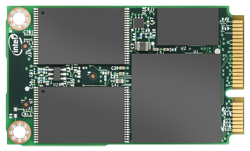 To find out more about the GA-Z68XP-UD3-iSSD, please visit: GIGABYTE - Motherboard - Socket 1155 - GA-Z68XP-UD3-iSSD (rev. 1.0) and keep an eye on the GIGABYTE Tech Daily Blog.